I recently read an article entitled – “U.S. Intelligence Predicts Poverty Will Plummet “. 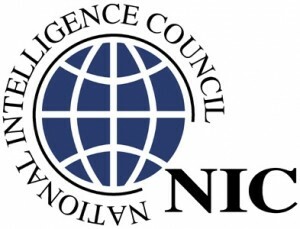 The article previewed a report from the National Intelligence Council. For perspective, the NIC is the Organization that produces a Global Trends Report used by incoming U.S. presidents. The report assesses critical drivers and scenarios for global trends and is used to inform national strategic policy. Like any forecast, it is a prediction that may or may not be realized. But, it is a data based prediction and I would think no other Organization has as much data to analyze as the NIC. The 1 billion people who live on less than $1 a day will likely drop in half in just 2 decades. The global middle class will double from 1 billion to 2 billion. Food demand will increase by +50% in the next 18 years. More people will migrate to cities, 60% of people will live in cities by 2030. Roughly half of humanity will live in water stressed regions by 2030. The implications for economic development are worth considering. A growing middle class means more people will have more money to purchase goods and services that make life easier. ED pros should consider preferentially attracting capital investment from manufacturers that focus on serving middle class consumers. But, they also need to ensure their communities have the logistic capability to deliver those products/services to global markets. Exports will become increasingly important and processes to help small companies become efficient exporters will make a community more attractive for capital investment. ED pros should consider whether food manufacturing is an industry that should/could be in their strategic target set for capital attraction. Increasing food demand should help ensure jobs that are created by this industry are sustainable. The migration of the population to cities should increase the urgency around urban renewal efforts. Based on my impressions from a personal trip to China, I suspect the bulk of migration will happen outside the U.S.. However, I do expect we will experience a similar general trend even if the rate of migration is less aggressive. And, I believe the expansion of the global middle class will help make Brand America’s promise even more relevant and competitive. As people have a better quality of life they will aspire to an increased level of independence and even stronger desire to pursue happiness. What do you see as the implications of the NIC forecast? Does an increasing global middle class provide an opportunity or threat to Brand America, and why? What would you do differently in creating a long-term strategic plan for your community?